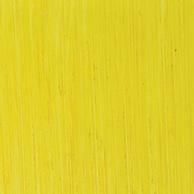 Bright Yellow Lake is an Arylide organic Lake pigment. It has an incredibly high oil content and transparency with an enormous Tint Power that shoots right through mixes with a pervasive range of bottle green undertones. Beginners should handle this paint with care when adding it to other paints! It can heighten the Phthalo Lakes without making them opaque and when it is made itself opaque with the addition of white the results are almost luminous.